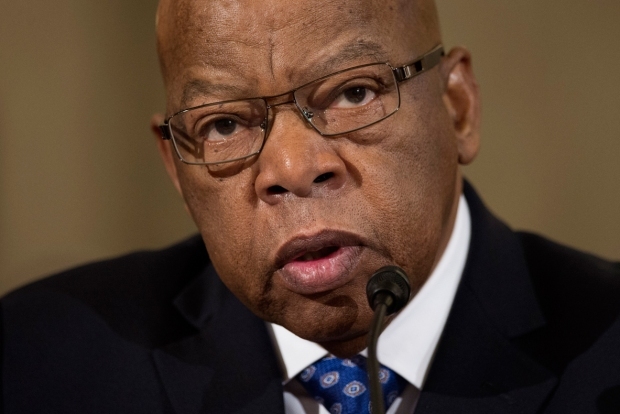 The roster of House Democrats planning to boycott President-elect Donald Trump's inauguration grew to more than 50 on Tuesday in a protest of the New York businessman's policies and his repeated criticism of legendary civil rights activist John Lewis. The Georgia congressman made headlines over the weekend for challenging Trump's legitimacy to be the next president and erroneously claiming that Trump's inauguration would be the first he will have missed since coming to Congress three decades ago. In fact, Lewis had skipped President George W. Bush's inauguration in 2001. Trump struck on Tuesday morning, as is typical, on Twitter: "WRONG (or lie)!" Trump tweeted, citing a 2001 Washington Post report that noted Lewis had skipped George W. Bush's inauguration. Lewis' office on Tuesday confirmed that the congressman had missed Bush's swearing-in. 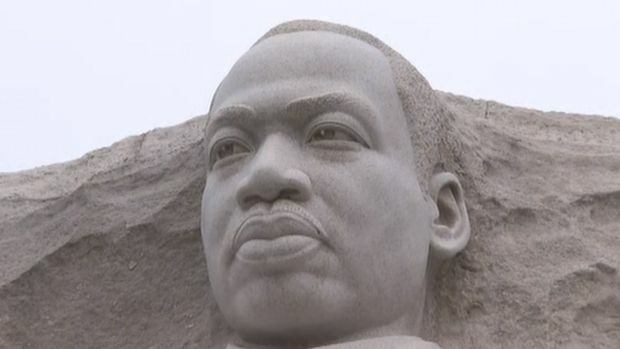 "His absence at that time was also a form of dissent," said spokeswoman Brenda Jones. "He did not believe the outcome of that election, including the controversies around the results in Florida and the unprecedented intervention of the U.S. Supreme Court, reflected a free, fair and open democratic process." Asked about the error after an appearance Tuesday at the Thomas Edison High School in Miami, Florida, Lewis said he did not attend Bush's first inauguration "like so many other members of Congress did not," adding, "But President Bush is a friend of mine." Lewis said last week that he would skip Trump's swearing in on Friday, telling NBC News that he didn't view Trump as a legitimate president. "I think the Russians participated in helping this man get elected. And they helped destroy the candidacy of Hillary Clinton," Lewis said in an interview with NBC's "Meet the Press" that aired Sunday. Lewis' comments drew angry weekend tweets from Trump, who wrote that "rather than falsely complaining about the election results," Lewis should focus on his congressional district. 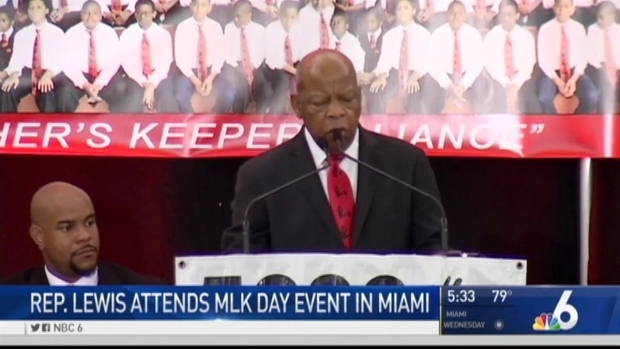 Rep. John Lewis speaks at a Martin Luther King , Jr. event in Miami. The number of Democrats boycotting Trump's inauguration continued to increase, including Minnesota Rep. Keith Ellison, a top contender to lead the Democratic National Committee, as well as many black and Hispanic lawmakers. Top Democrats like House Minority leader Nancy Pelosi and Senate Democratic leader Chuck Schumer of New York will attend, however, and none of the Senate Democrats said they'll skip the inauguration. "We'd love for every member of Congress to attend but if they don't, we've got some great seats for others to partake in. It's a shame that these folks don't want to be part of the peaceful transfer of power," Spicer told reporters on a morning call. 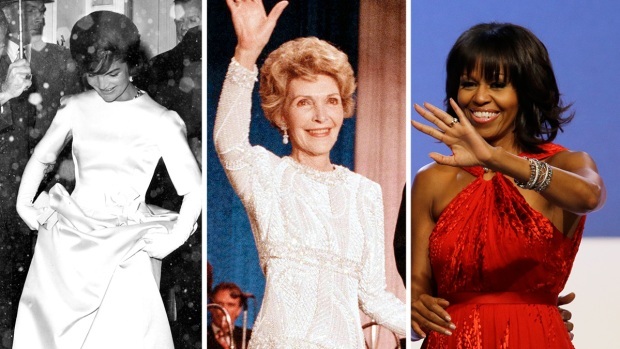 On Tuesday, Democrats such as Alma Adams of North Carolina, Mike Doyle of Pennsylvania and Carol Shea-Porter of New Hampshire joined the growing ranks of lawmakers boycotting Trump's inauguration. "I cannot in good faith and consciousness pretend to celebrate the inauguration of someone who has spoken so horribly about women, minorities and the disabled," Adams said. While many Democrats were furious with the outcome of the drawn out 2000 election in which George W. Bush defeated Al Gore after recounts and a Supreme Court ruling, they generally attended Bush's inauguration as the nation's 43rd president. Justice Ruth Bader Ginsburg and the rest of the high court are expected to attend Trump's inauguration, says Supreme Court spokeswoman Kathy Arberg. Ginsburg criticized Trump in interviews with The Associated Press and other news organizations in July, then apologized for her comments a few days later. Trump fired back at Ginsburg on Twitter. Chief Justice John Roberts will swear in Trump, as is customary. Mike Pence has chosen Justice Clarence Thomas to administer the vice presidential oath. Obama repeatedly faced questions during the 2008 campaign about the widely debunked claim that he was not a U.S. citizen and that his birth certificate was a fake. Trump, in fact, perpetuated that notion for many years before a brief statement last year that Obama was a citizen. Republicans attended Obama's two inaugurations.